Caters magical entertainment for ANY setting for ANY audience in ANY show! 1-2-3 hours close up walkaround magic available. Daniel Raven is an illusionist, mentalist and escape artist. Born 1989 in Malta, Daniel Raven got addicted to the artform of deception at the tender age of 12. 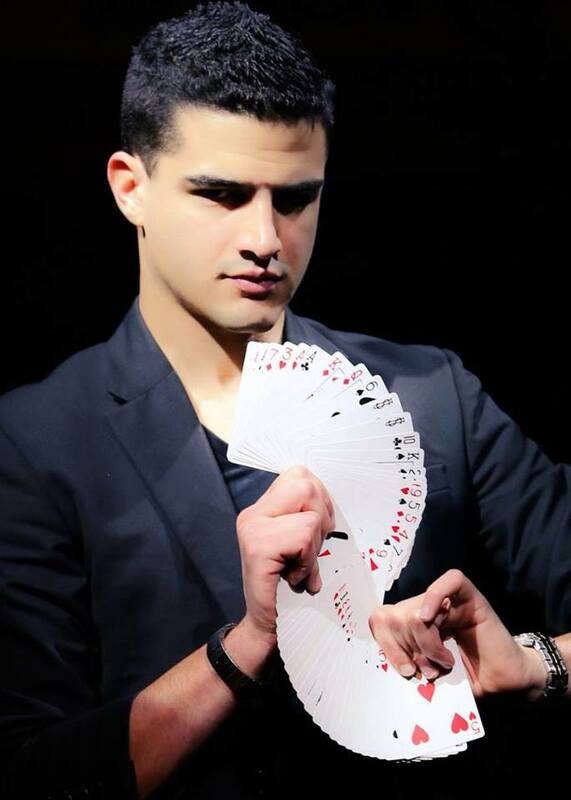 At the age of 16, Daniel met Vanni Pule at Junior College, who introduced him to the Malta Brotherhood of Magicians. Today, Daniel is a full member of the Brotherhood after successfully passing two auditions. At the age of 18, he started performing professionally in the Maltese Islands. Daniel Raven has performed for kids as young as 3 in private households to high end events featuring poker players in luxury hotels and clubs all over Malta and abroad. Daniel Raven has also performed on all major Maltese tv stations and interviewed on Maltese newspapers. In 2014, Daniel moved to Basel in Switzerland doing bar gigs together with private, corporate and charity shows including pharma giants Novartis and Roche amongst others. He has also performed in France and Germany. marianne : Daniel Raven war super, alle waren begeistert!! Daniel: Spontan und erfrischend, hat Spass gemacht ! amber: Kept the kids engaged and interested for an hour - they laughed so much and were wowed by the magic. Really great performance. Sandra: Für die kurzfristige Buchung lief alles super, er war da und pünktlich !!! Daniel war sehr spontan nur war es kein Kindergeburi. doris: Very friendly, funny and motivated. The kids liked his show very much.